Blue Mountain Summit, Blue Mountain restored firetower, and Blue Mountain Lake behind, from this unique sunrise aerial shoot over the summit. 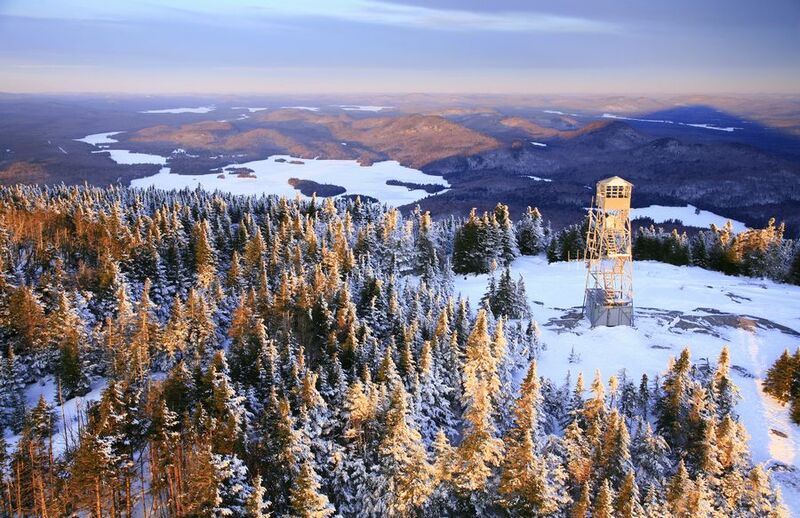 Blue Mountain's sunrise shadow can be seen behind the tower, and way off in the distance Raquette Lake is visible. Photo © copyright by Johnathan Ampersand Esper.